Mr. Rebufii graduated in Nuclear Engineering at the University of Technology in Milan (1984) before obtaining a PhD in Engineering at Paris – Orsay University (1987). He worked on the development of high power microwave systems for the next thermonuclear fusion reactor (ITER) in Garching, Germany (1988-1991). Afterwards, he was employed by Thomson CSF to take responsibility for European Affairs (R&D) in different sectors: telecom, industrial, medical, scientific etc (1992-1999). He worked for Thales Microwave, in the position of the Head of Unit for Sales of Telecom Products (2000-2002) and later became promoted for a position of the Thales Director for European Affairs (2003-2007). In this capacity he was responsible for the development of business and research activities with European Institutions for Thales Services Division and Thales Security Division. 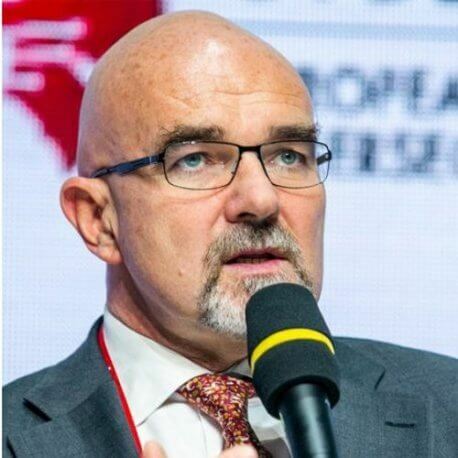 In 2003 he initiated and since 2007 has become the CEO of the European Organisation for Security (EOS) that gathers the most important European private security stakeholders and public NGOs from supply and demand side to develop and implement consistent European security solutions and services in a comprehensive approach. In this position his responsibilities cover a wide range of tasks. In July 2016, he took over the role of Secretary General of the European Cyber Security Organisation (ECSO) he contributed to establish in June 2016 and has been managing the 200 members Association in charge of implementing the contract of the European Public-Private Partnership on cybersecurity in collaboration with the European Commission.